Whether exploring the Placer Wine Trail with friends or a special someone, fall in love with our wineries Valentine's Weekend 2020. From treats, sweets, free tastings, and live music to jewelry and artisan vendors and food trucks, love will be in the air! 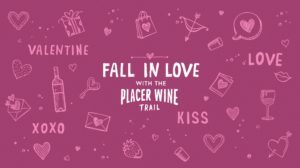 FALL IN LOVE with the Placer Wine Trail! 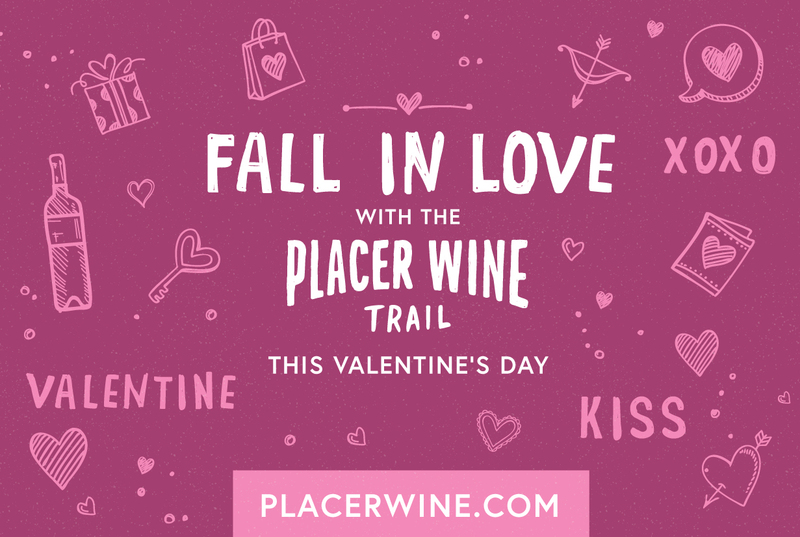 Since Valentines officially falls in the middle of the week, some individual Placer Wine Trail member wineries will be celebrating with their own activities starting the weekend before (Feb.9-10) and continuing through the week to the weekend after (February 16-17). So you have lots of options to make sure your cupid’s arrow hits it’s mark! Please note, this is not a ticketed trail event – individual winery activities are listed as soon as they become available and tasting fees, etc. may apply. Check back for ongoing updates. Bear River – At the Winery: We’ll have an assortment of cheese and crackers as well as chocolates. Try our new Chardonnay and Pinot Noir. Decorated for Valentine’s for your sweetheart. Complimentary tasting, please don’t take our glassware from this location. 10% off our 2016 Pinot Noir while it lasts! Ciotti: Make it a local Valentine weekend Come on out both weekends (9-10/ 16-17) as Ciotti celebrates Valentine’s Day ..We will be releasing our new Sangiovese Rosata on both weekends as our Valentine to you .. our fire pits will be burning for you to relax with your special someone over a glass or bottle.. On the 16th and 17th Placer County s own “What the Fudge ?” will be out with us with samples and sales of there infamous Fookies a cross between a cookie and fudge and much more …. your not going to want to miss them …we will also be sampling some pork slides for the lucky Valentines while supplies last! Casque Wines will be hosting the two following local vendors Th 2/14 – Sun 2/17. Wheyward Girl Creamery – a full service cheese shop. Try a sample. Let us cut your piece from the wheel and wrap it for you! Wild Wooden Spoon – a mother and daughter team, living in the beautiful foothills of Newcastle California where we create all things for and in the kitchen. Dono dal Cielo: Feb 9-10 and February 16-17 Create a love story at Dono dal Cielo. Nothing says love more than cuddling up by the fire. The winery will be filled with romance, twinkle lights, candles and a lovely s’mores bar. We will also feature a DIY love letter station. Gather your lawn chairs, blankets, a picnic and cozy up by the fire. There’s always room for s’more LOVE! Fawnridge will be hosting blown glass artists Hanna and Alana from Nicholsons Blown Glass here in Auburn. Come see their great artistic creations. All hand blown glass!! Special discounts on selected wines. 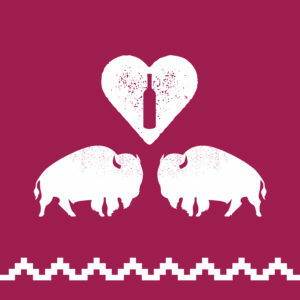 Lone Buffalo: New Releases all month – 2015 Bison Heart Petite Sirah and 2016 Noble Beast Cabernet . Both Weekends: Special Valentines souvenir “Bison Heart” logo wine glass, Ternero Olive Oil and Touchstone Crystal jewelry by Swarovski available for purchase. Select wines by the glass $5.00 and special SALE on 2017 Bison Blanc Viognier & 2015 Where the Buffalo Roam (ONLY $20/bottle). Feb. 16 & 17: includes the addition of live music & Dedrick’s Cheese & Ternero Olive oil tasting, plus Authentic Street Taco Truck and a free photo booth on Saturday. $7.50/person or $15/couple. Mount Saint Joseph – Vin Uva: “Sweets for your Sweetie” – all week at Vin Uva we will be offering complimentary tastings of our Muscat and Syrah Dessert wines paired with little dessert bites. Music – live music on Friday night and Sunday afternoon. We will have Jim MacEgan on Friday, 2/15 from 5:30 to 7:30 p.m.. We will have Michael Porfiri on Sunday from 2 p.m. to 4 p.m.. New Patio is Open – if the weather is nice, enjoy a glass of wine on our new patio. Now Open Tuesday and Wednesday……we are now open additional days. Tuesday and Wednesday we are open from 4 p.m. to 7 p.m.
PaZa: stop by either weekend to enjoy some of the best views on the Placer Wine Trail. We will have a fun Hershey’s Hugs & Kisses bar to pair with your favorite PaZa varietals and taste the newest release of our 2018 Petite Sirah Rosé . This customer favorite is only around for a very short time each year, due to its limited production. Tasting fee will be $5 per person. Secret Ravine Vineyards will be serving sweets and treats for Valentines recognition Friday, Feb. 15, 16 and 17th. We will be closed on Monday the 18th. Vina Castellano: VALENTINE’S WEEK TRIO – This year we are offering three seperate ways to celebrate the season of love with your special people. Thursday, February 14th (12-6:630pm) Valentine’s Cava & Candy – we will be offering sparkling Cava by the glass paired with three delicious chocolate bites for $15 per person. Friday, February 15th (6-9pm) – Galentine’s Day Wine Blending Party – $50 -Women, as mothers, sisters, aunts and friends, make our lives richer and fuller. Nothing puts us in a better mood than hanging out with our ladies! Come enjoy this interactive evening where you will learn the art of blending and bring home a bottle of wine you design with a custom label of you and your friends. Tapas plate and your bottle of wine, and two custom blended glasses of wine included. Saturday, February 16th (6-10pm) Taste of Spain-$145 ($125 wine Club). Special celebration of the Mendez family heritage & release of the 2015 vintage of Mercedes Block Tempranillo. Start w/a tapas and cava reception before being seated in our stone cave for an authentic three course Spanish meal by Mama Kim Cooks. After dinner, guests will be treated to the magical experience of Spanish Guitar, amazing vocals and Gypsy flamenco dance w/guitarist Gopal Slavonic and his Flamenco troupe showcasing a variety of dancers, singers, and percussionists. The ticket price includes the Spanish meal, a bottle of Tempranillo per couple and the performance. Email or call for more information teena.vinacastellano@gmail.com or 530-889-2855. Wise Villa: Join us for 4 days of romance, fine wine, and decadent food at our beautiful Tuscan-style bistro! On Sat Feb 9th enjoy a Valentine’s special event “7-Course Food & Wine Pairing Experience” (6:30pm-9pm), tickets available www.WiseVillaWinery.com. In the Bistro, indulge your senses Feb 13 – 15 with wine tasting, wine by the glass/bottle, gourmet appetizers, farm to fork salads, and our featured sparkling wines Blanc de Blancs and Blanc De Noirs. Bring your sweetheart in for special Valentine’s dinners from Feb 13 – 15 (3pm-9pm), with live music on Friday night. Our culinary team will be creating 5 heavenly entrees for you to enjoy: tomahawk ribeye, filet oscar “surf and turf”, pan seared duck breast, skate wing, and a beet risotto. Reservations required for all dinners 916-543-0323. Last food order at 8pm. Hours: Wed & Thur 3pm-9pm, Fri 11am-9pm, Sat & Sun 11am-5pm.